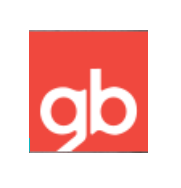 Disclosure: I participated in a Blog Blast Activation on behalf of Influence Central for GB. I received a promotional item to thank me for my participation. With the warmer weather upon us, many families will be piling in the car to enjoy time outdoors with family, including baby. If you are traveling with little ones in the car, make sure you have the right car seat for their weight and age, as well as have it installed correctly. If you are in search of the perfect car seat with your child, that not only fits well in your car, but also offers the ultimate peace of mid when it comes to safety, look no further than the GB Asana35 AP Car Seat, which offers a unique 3-way FirmFit System -- as safety is GB's top priority! 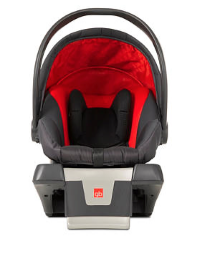 "The car seat's FirmFit Harness fits around your little passenger without fuss, and the telescoping design and push-button LATCH connectors make installation simple and precise. Side Impact Protection provides an extra layer of safety, and the FirmFit Load Leg helps protect your baby's head, neck and spine by minimizing the amount of car seat rotation in the event of a crash. The ergonomic handle and lightweight design enable easy and comfortable carrying." The GB Asana35 AP Car seat is available at your local Babies "R" us in either Fusion or Sterling -- making them a great gift idea for expectant parents, grandparents looking for a car seat for their car, or to update your child's car seat. In addition to learning more about the new GB Asana35 AP Car Seat by visiting their website, you can also enter their GB Travel Safe Sweepstakes today for a chance to win weekly prizes of Babies "R" Us Gift cards (2 winners chosen each week to win a $50 gift card and 1 winner chosen weekly to win a $100 gift card), or 1 of 3 grand prizes -- Grand Prize: A $500 Babies "R" Us gift card, Second Prize: A GB Zuzu Stroller and GB Asana35 AP Car Seat, and a Third Prize winner: A GB Asana35 AP Car Seat. Don't forget to share this sweepstakes with family and friends, so that they can sign up and have a chance to win the weekly or one of the grand prizes being offered. The sweepstakes ends soon, so don't delay in entering. Good luck!